The photograph above shows a bangle that I made. 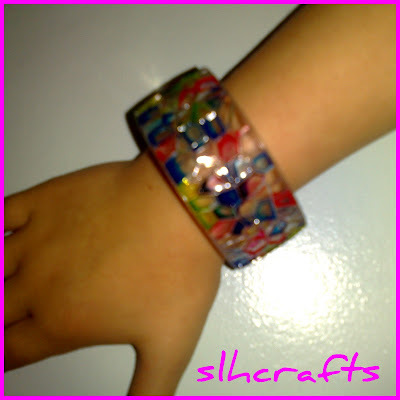 This was a plain plastic bangle and I used coloured paints to make it look really pretty. This was really easy to do and I enjoyed making it. I made this at one of the kids clubs I went to during the summer school holidays. Each day they did different kinds of crafts which I really enjoyed.